At TimberTop Adventures we have incorporated a number of safety procedures and protocols to ensure your class visit is a safe one. Continuous Lifeline System: TimberTop uses the Bornack SSB (Smart Safe Belay) carabiner system, which keeps users locked into the course from the moment they climb on, to the moment they step off. We also equip your group with the latest in helmets and full-body harnesses to further ensure the safest experience. Training: As part of a group, each student receives 30 minutes of training before they begin their self-guided adventure. Students are shown how to use their safety equipment first and then complete a training practice course under the guidance of one of our trainers. 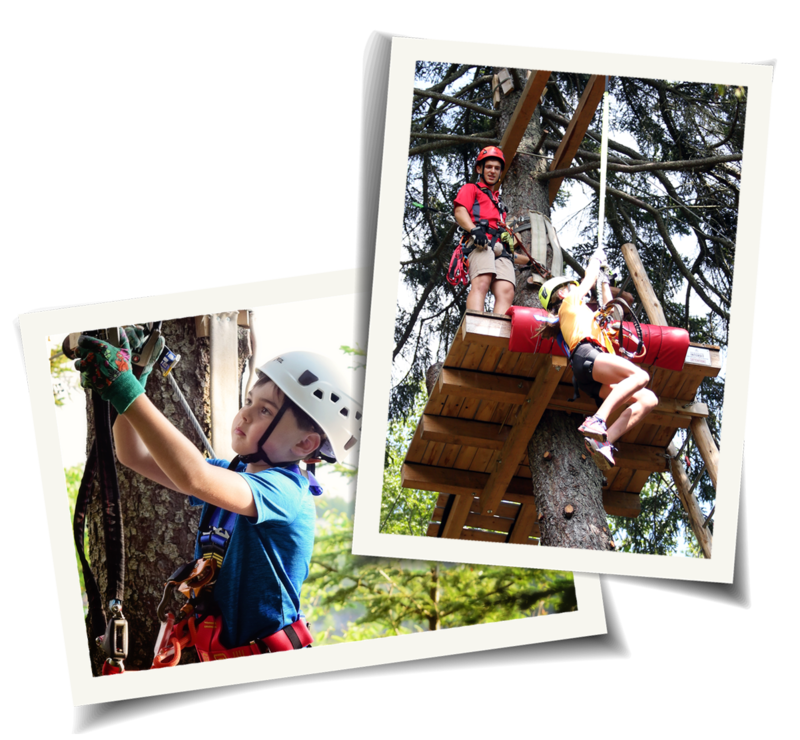 Regulations: TimberTop Adventures has been constructed to meet and exceed both the North American and more stringent European safety standards for aerial adventure parks. Our park is annually inspected by a third party expert to ensure continued compliance to these regulations. Daily Inspections: Our experienced guides physically go through each of our courses in detail each morning to inspect multiple aspects before we open. We also thoroughly check customer safety equipment after each use so it’s ready for when following guests arrive. Staff Availability: Our staff are strategically positioned throughout the park to be easily reached during your visit. They are there to answer any questions you may have and provide guidance while you tackle a challenge. Our rescue guides have received in-depth high ropes rescue training specifically for our park and can assist customers if they need to safely exit a course early. AED, Epi-pen, First Aid: All staff have been trained in First Aid, including CPR. They have also been trained in the use of EpiPens and AED, both which are located onsite at our registration office. Our safety systems are incorporated on every course and all adventures offered.